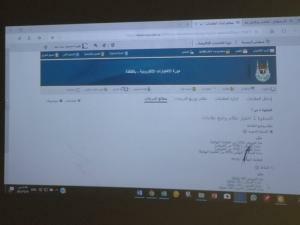 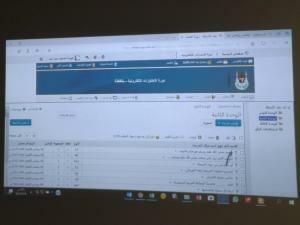 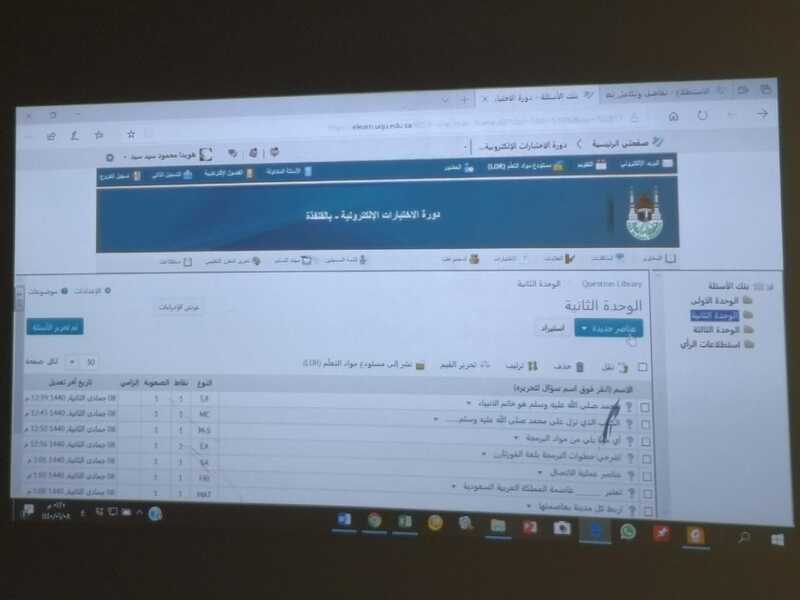 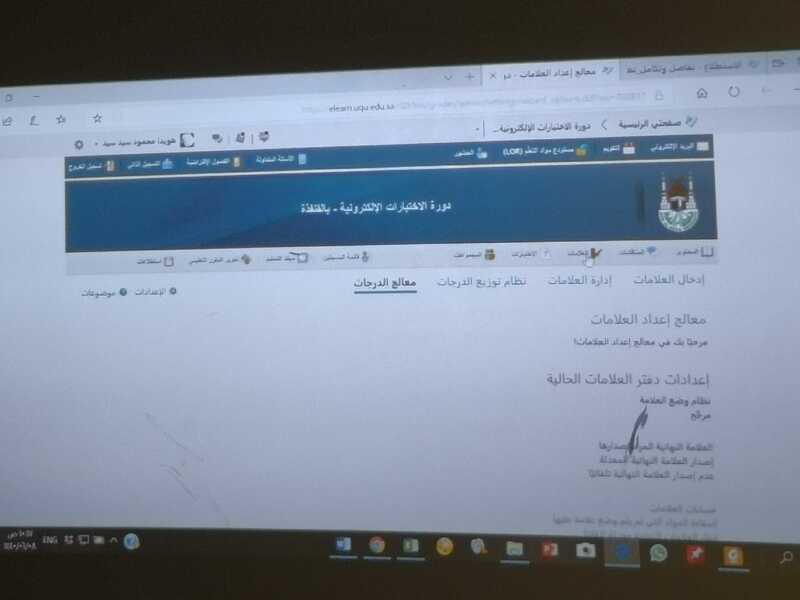 Under the supervision of the Deanship of E-Learning and Distance Education, the College of Computer and Information Systems (Female Section) in Al-Qunfudhah held several training courses. This was in coordination with Her Excellency Dr. Huwaida Al-Sayyid, and in the presence of the academic staff at the college. 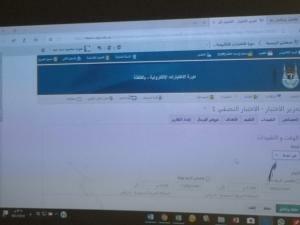 The goals of the course were to introduce the e-learning portal. 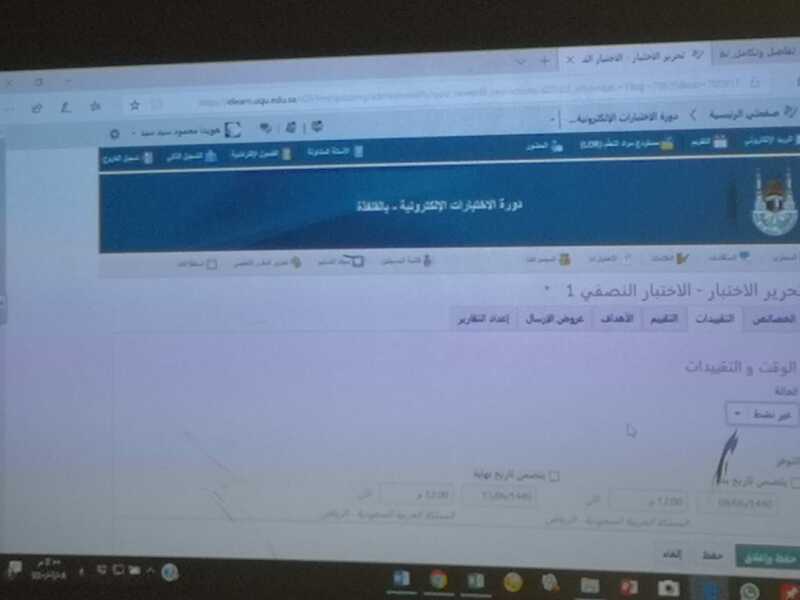 A course was given in this regard entitled, "Virtual Classrooms", on Wednesday, 24 Jumada Al-Awwal, 1440 A.H., at 10:00 a.m. Another course was given on the procedures for holding electronic exams on Wednesday, 8 Jumada Al-Thani, 1440 A.H., at 10:00 a.m.